Wouldn’t it be nice if you could save money on your energy bills during the winter? Ecolonomic living is all about saving money and making the planter better while doing it and we are here to show you exactly how to do this! 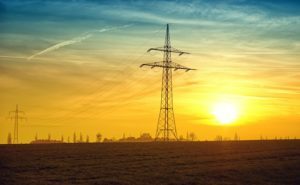 Even though you may not realize it, electricity companies mostly use fossil fuels to generate electricity. However, there are many alternative energy sources that are being developed all around the world to address the pollution and energy crisis associated with using fossil fuels. So if you save energy during the winter, you are not only saving money but also helping the environment by reducing your carbon footprints on the planet. Would you like to learn more about ecolonomic living? – Read on! Saving money on your energy bills is not really complicated despite what it may appear. It’s the simple everyday practices, energy saving habits, and appliances and everyday choices we make that can make a big difference on how much energy we need and as a result, we can pay a lot less and contaminate the planet less. 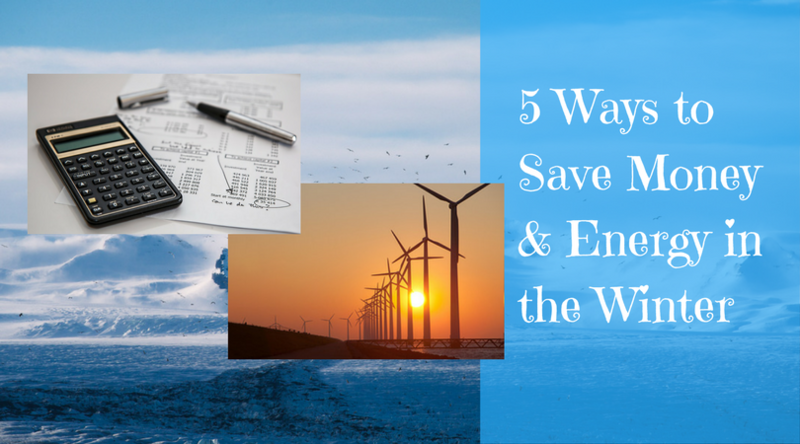 Below we have 5 ways you can start saving money on energy this winter. Turn down the heat a couple of degrees and put on some warm clothes in the winter. This simple trick could literally save you hundreds of dollars a year on electric bills. Just think about all the money and energy we could all save in total if we all practiced this at home or in offices. While it may be a slight adjustment, it can also bring numerous financial and ecological benefits so keep this in mind. Winter efficient, low-flow shower heads can save you water and also save you the energy needed for heating the water. Make sure that your water tank and pipes are well insulated so that you don’t lose heat. Also, turn down the thermostat of your water heater to the 60-65 range. Maybe your old appliances became inefficient and are using up too much energy. Make sure all your appliances are in good condition, with high energy rating in order to make your home function better. Just cleaning and servicing your old refrigerator, dishwasher, electric ovens, washer, dryer and the filters of your heating & cooling systems may improve their performance and efficiency. Have all your old appliances inspected to make sure they are all performing at their best? If you need to replace any of the old ones, replace them with new energy saving appliances. A little investment can help you save money in the long run. Most electric companies charge you more during the peak hours or prime time and less during the off-peak hours. Try to do all your heavy duty work, such as laundry, ironing, and take showers after 10 at night and before 7 in the morning. 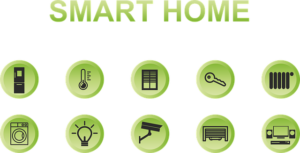 You can program your thermostat and water heaters to turn on before you wake up and shut down at night when you’re asleep. Try finding out when these peak hours are so you can avoid the super high rates companies can charge. Sealing your house better will dramatically reduce your heating and cooling bills and save a significant amount of energy all year round. Weatherproof your homes and make sure they are leak proof and well insulated. Replace old windows and doors with energy efficient ones and seal around them. If you have any leaks on your roof, on your walls or anywhere around the house, make sure to repair them. This way in this cold weather, the heat can stay inside the house and this will also reduce how often you need to turn the heating system on. Saving energy is not only good for your pocket but it’s also good for the environment. The more energy we save, the less fossil fuel we have to burn and so, we can reduce our impacts on the environment by reducing our carbon footprints. So do yourself and the environment a favor and apply these few simple tips to save money, energy, and fossil fuels. 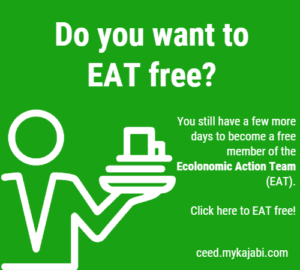 P.S: If you care about the environment and would like to learn more about the Ecolonomic Living, join our Ecolonomic Action Team (EAT) community. It’s a group of people trying to make some money while making the planet greener.